Crazy Ex-Girlfriend is an American series with elements of dramas, musicals, and romantic comedies. It stars Rachel Bloom, who plays the titular character. In short, Rebecca Bunch was an elite lawyer in New York City who was on the verge of receiving a significant promotion when she ran into her ex-boyfriend Josh Chan, which resulted in her moving to West Covina in the state of California for a fresh start. Not coincidentally, West Covina is the place where Josh lives, thus explaining the name of the series. How Has Crazy Ex-Girlfriend Changed Over Time? 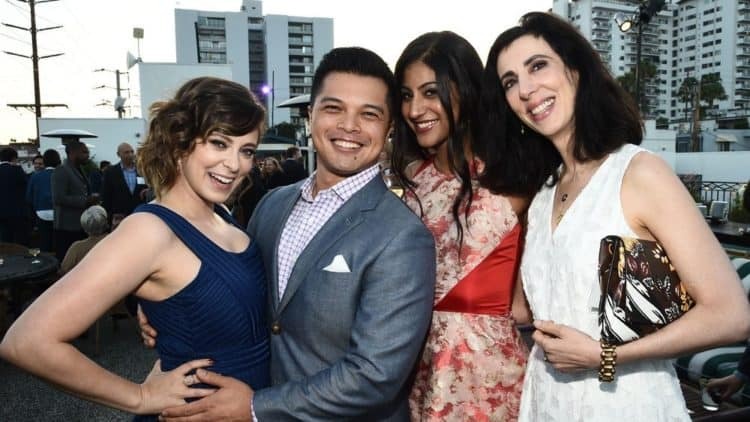 First, it is interesting to note that the cast for Crazy Ex-Girlfriend has remained relatively stable over the course of four seasons. However, it hasn’t been entirely free of changes. For example, the character Nathaniel Plimpton III was introduced in Season 2 when he bought an ownership stake at the firm where Rebecca works. Likewise, while Josh Wilson has been with the series since Season 1, he wasn’t a main member of the cast until Season 3 before turning into a special guest star in Season 4. With that said, the relatively stable nature of the cast makes sense because so much of Crazy Ex-Girlfriend‘s appeal lies in the unfolding stories of its characters. Certainly, the series could survive the loss of characters other than its protagonist, but it would become much poorer in the process because each of those characters have been seeing their own development. Something that has caused the viewers to put a fair amount of emotional investment into them. Naturally, Rebecca is the character who has seen the most change over time, seeing as how she receives the lion’s share of focus. Initially, while Rebecca tends to be a nice and pleasant person, there can be no doubt about the fact that she is a petty, manipulative stalker who nonetheless sees herself as the heroine of a romantic comedy. This is a rather unpleasant state of things for the people in Rebecca’s life. Moreover, this is rather unpleasant for Rebecca as well, as shown by her self-destructive responses in the earlier seasons whenever something goes wrong. Over time, Rebecca has been confronting the causes of her problems. For example, she has called out her mother, whose extremely controlling parenting has had a horrendous effect on her. Something that wasn’t helped by her mother blaming her for her father walking out on them. Naturally, this means that Rebecca has called out her father as well, which was a refreshing change from the start of things when she pretty much idolized him in spite of his total disregard for her. However, the biggest sign of progress might be how Rebecca has reacted to finding out that she has the serious mental illness called borderline personality disorder. In short, she believes that she needs to take responsibility for her actions, but at the same time, she isn’t going to go into a downward spiral because she recognizes that she wasn’t 100 percent to blame for her bad behaviors. Other characters in the series have undergone their own changes. Generally speaking, this has been for the better, not least because most of the main characters have huge flaws in their personalities. However, what is particularly refreshing about Crazy Ex-Girlfriend is that it doesn’t show the process of getting better as a matter of smooth and uncomplicated progress. Instead, its characters continue to have their ups and downs even when they are moving in an overall positive direction, thus ensuring continuing tension that is enhanced by a sense of realism. After all, normal life has plenty of drama packed into it, meaning that it is nice for Crazy Ex-Girlfriend to recognize that. The story of Crazy Ex-Girlfriend has seen enormous changes over the course of four seasons. As a result, a lot of its characters are in very different positions under very different circumstances, thus making for a number of fascinating narratives. On the one hand, this means that the stories of the current season are not the same as the stories from earlier on. On the other hand, this makes the overall series that much stronger by infusing it with a sense of excitement as well as a sense of fulfillment when one looks back on what has happened.